Create leads on the go! QuickLead connects with SalesForce and streamlines the opportunity creation flow. The experience allows users to quickly enter leads by entering only the mandatory fields and keeping track of open opportunities. 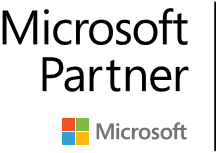 Want to become a PowerApps Partner? Certified partners are an important part of the team! Find new business opportunities, make connections, and share your company’s talents and experience with PowerApps users around the world.